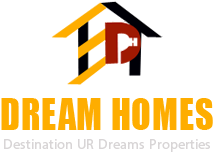 Dream Homes is a reputed Real Estate Agent in Pune dealing in Property Management Services. We take complete responsibility of your property in case you are an N.R.I and need someone to look after your valuable property in Pune. As a Care Taker, we take care of your property in terms of cleaning, tenant issue, Government (Corporation Taxes, Electricity, Bill Paying) etc. at nominal charges. Our Property Management Services allow clients to stay carefree in foreign countries without any worries about their properties back home.